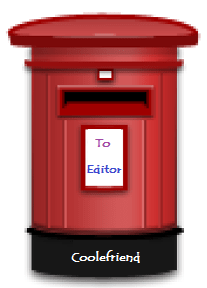 Letters, suggestions and article requests from our readers are welcome and should be sent to the Editor through the following form. To request the article, in the subject column, please write as, Letter to the Editor-Article Request. There’s a lot of technical articles out there that we haven’t covered yet. If you want to see an article on a specific topic, send us a request by filling out the form below. These interactions are significant and encouraging. We look forward to hearing from you!